“Jisei” redirects here. For the 2010 visual novel, see Jisei (video game). General Akashi Gidayu preparing to commit seppuku after losing a battle for his master in 1582. He is depicted as having just written his death poem, which is also visible in the upper right corner. Illustration by Yoshitoshi Tsukioka. A death poem (絶命詩) is a poem written near the time of one’s own death. It is a tradition for literate people to write one in a number of different cultures, especially in Japan and Joseon Korea, as well as certain periods of Chinese history. Death poems have been written by Chinese, Korean, and Japanese Zen monks (the last writing kanshi (Japanese poetry composed in Chinese), waka or haiku), and by many haiku poets. It was an ancient custom in Japan for literate persons to compose a jisei on their deathbed. One of earliest records of jisei (辞世) was recited by Prince Ōtsu executed in 686. For examples of death poems, see the articles on the famous haiku poet Bashō, the Japanese Buddhist monk Ryōkan, Ōta Dōkan (builder of Edo Castle), the monk Gesshū Sōko, and the Japanese woodblock master Tsukioka Yoshitoshi. The custom has continued into modern Japan. On March 17, 1945, General Tadamichi Kuribayashi, the Japanese commander-in chief during the Battle of Iwo Jima, sent a final letter to Imperial Headquarters. In the message, General Kuribayashi had apologized for failing to successfully defend Iwo Jima against the overwhelming forces of the United States Military. At the same time, however, he had expressed great pride in the heroism of his men, who, starving and thirsty, had been reduced to fighting with rifle butts and fists. He closed the message with a traditional death poem. Some people left their jisei in multiple forms. Prince Ōtsu made both waka and kanshi, Sen no Rikyū made both kanshi and kyōka. A death poem sometimes took on an aspect of a will, reconciling differences between persons. Poetry has long been a core part of Japanese tradition. Death poems are typically graceful, natural, and emotionally neutral, in accordance with the teachings of Buddhism and Shinto. Excepting the earliest works of this tradition, it has been considered inappropriate to mention death explicitly; rather, metaphorical references such as sunsets, autumn or falling cherry blossom suggest the transience of life. As a once-in-a-lifetime event, it was common to converse with respected poets before, and sometimes well in advance of a death, to help finish writing a poem. As the time passed, the poem might be rewritten, but this rewriting was almost never mentioned, to keep from tarnishing the deceased person’s legacy. In a full ceremonial seppuku (Japanese ritual suicide) one of the elements of the ritual is the writing of a death poem. The poem is written in the tanka style (five units, usually composed of five, seven, five, seven, and seven moras respectively). In 1970 writer Yukio Mishima and his disciples composed jisei before their abortive takeover of the Ichigaya garrison in Tokyo, where they killed themselves in this ritual manner. Besides Korean Buddhist monks, Confucian scholars called seonbis sometimes wrote death poems (절명시). However, better known examples are those written or recited by famous historical figures facing death when they were executed for loyalty to their former king or due to insidious plot. They are therefore impromptu verses, often declaring their loyalty or steadfastness. The following are some examples that are still learned by school children in Korea as models of loyalty. These examples are wrriten in Korean sijo (three lines of 3-4-3-4 or its variation) or in Hanja five-syllable format (5-5-5-5 for a total of 20 syllables) of ancient Chinese poetry (五言詩). Yi Gae (이개·1417-1456) was one of “six martyred ministers” who were executed for conspiring to assassinate King Sejo after Sejo usurped the throne from his nephew Danjong. Sejo offered to pardon six ministers including Yi Gae and Seong Sam-mun if they would repent their crime and accept his legitimacy, but Yi Gae and all others refused. He recited the following poem in his cell before execution on June 8, 1456. In this sijo, Lord (임) actually should read someone beloved or cherished, meaning King Danjong in this instance. Like Yi Gae, Seong Sam-mun (성삼문·1418–1456) was one of “six martyred ministers” and was the leader of conspiracy to assassinate Sejo. Like Yi Gae, he refused the offer of pardon and denied Sejo’s legitimacy. He recited the following sijo in prison and the second one (five-syllable poem) on his way to the place of execution, where his limbs were tied to oxen and torn apart. Jo Gwang-jo (조광조·1482-1519) was a neo-Confucian reformer who was framed by the conservative faction opposing his reforms in the Third Literati Purge of 1519. His political enemies slandered Jo to be disloyal by writing “Jo will become the king” (주초위왕, 走肖爲王) with honey on leaves so that caterpillars left behind the same phrase as if in supernatural manifestation. King Jungjong ordered his death by sending poison and abandoned Jo’s reform measures. 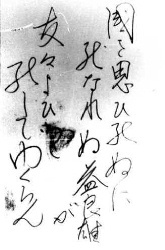 Jo, who had believed to the end that Jungjong would see his errors, wrote the following before drinking poison on December 20, 1519. Repetition of similar looking words is used to emphasize strong conviction in this five-syllable poem. Jeong Mong-ju (정몽주·1337-1392), considered “father” of Korean neo-Confucianism, was a high minister of Goryeo dynasty when Yi Seong-gye overthrew Goryeo and established Joseon dynasty. He answered with the following sijo to the future Taejong of Joseon when the latter demanded his support for the new dynasty with a poem of his own. Just as he suspected, he was assassinated the same night on April 4, 1392. 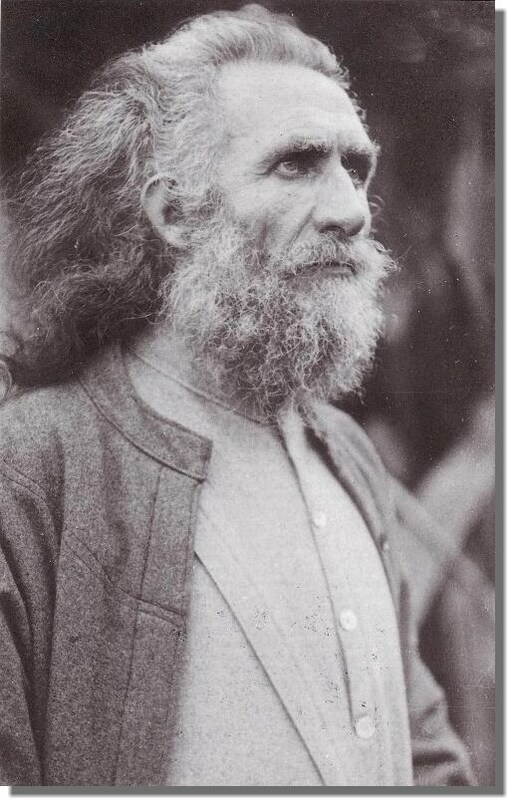 At this reform-minded time of year, we take a look at the utilitarian slash messianic wardrobe reforms of German artist Karl Wilhelm Diefenbach. Diefenbach was shaping up to be just an averagely bohemian scenester in 1880s Munich when he reached an epiphany about the course and form of his life. In 1882 he retreated, Moses-like, to the mountain of Hohenpeißenberg and descended, in similarly Mosaic fashion, with a new creed. I’ve been doing some research lately on a topic I find intriguing, especially in today’s society. Shunning seems to me like it would be an archaic solution to any present day problem, but people are still doing it. I find that fascinating. What is shunning and who does it? Shunning can be the act of social rejection, or mental rejection. Social rejection is when a person or group deliberately avoids association with, and habitually keeps away from an individual or group. This can be a formal decision by a group, or a less formal group action which will spread to all members of the group as a form of solidarity. It is a sanction against association, often associated with religious groups and other tightly knit organizations and communities. Targets of shunning can include persons who have been labeled as apostates, whistleblowers, dissidents,strikebreakers, or anyone the group perceives as a threat or source of conflict. Social rejection has been established to cause psychological damage and has been categorized as torture. Mental rejection is a more individual action, where a person subconsciously or willfully ignores an idea, or a set of information related to a particular viewpoint. Some groups are made up of people who shun the same ideas. Stealth shunning is a practice where a person or an action is silently banned. When a person is silently banned, the group they have been banned from doesn’t interact with them. This can be done by secretly announcing the policy to all except the banned individual, or it can happen informally when all people in a group or email list each conclude that they do not want to interact with the person. When an action is silently banned, requests for that action are either ignored or turned down with faked explanations. I am witnessing a stealth shunning that is tantamount to torture, happen to one of my friends right now. I have no idea how to help her and none of my suggestions are realistic considering her circumstances. All I can do is sit and watch her slowly be destroyed a little more each day. This plan of attack was carried out against her with a lot of forethought. Each chink in her armor was considered before executing one of the most diabolical shunning incidents I have ever heard of. The Amish religious shunnings don’t hold a candle to what she’s being subjected to! She lives in a very small town. The people shunning her were all considered her closest friends at one time in the not so distant past. They were the people she confided in and spent most of her time with. She worked with them, partied with them and thought they were the best folks in the world. Now none of them will even look at her if she walks in the room. When I first went online several weeks ago and started researching what I thought was happening to her, I was surprised to find out that the only term that could be applied was the term “shunning“. Whoever heard of such a thing happening these days, unless it was a religious sect carrying it out? I started researching shunning that wasn’t associated with religions and everything I found was in child or young adult forums and websites. There is hardly anything out there about adults participating in this kind of behavior. My friend is being shunned by a group whose ages span from early 40′s to early 60′s. They are all adults. That leads me to believe that we are expected to outgrow this kind of behavior! Well, I have some news for the experts. Small towns evidently do not outgrow the immature and supposedly arcane practice of shunning. The attack, which has encompassed her love of theater, her church, and her place of business, has also extended into having a private conversation with her own mother, to discuss the sins of the woman’s daughter. That takes some balls! I was speaking with my friend on the phone the other night and she was telling me about showing up for her dental appointment. She told me she sat in her car in the parking lot and had a small panic attack, because there were so many cars in the parking lot. She was sure she would walk in and one of them would be in the waiting room. She told me that a few months ago she was starring in a large community musical theater production, and today she hyperventilates pushing her shopping cart in the grocery store. She has stopped being herself and hides everywhere she goes because she just can’t face one more person treating her like she has the plague. Shunning is often used as a pejorative term to describe any organizationally mandated disassociation, and has acquired a connotation of abuse and relational aggression. This is due to the sometimes extreme damage caused by its disruption to normal relationships between individuals, such as friendships and family relations. Disruption of established relationships certainly causes pain, which is at least an unintended consequence of the practices described here, though it may also in many cases be an intended, coercive consequence. This pain, especially when seen as unjustly inflicted, can have secondary general psychological effects on self-worth and self-confidence, trust and trustworthiness, and can, as with other types of trauma, impair psychological function. Shunning often involves implicit or explicit shame for a member who commits acts seen as wrong by the group or its leadership. Such shame may not be psychologically damaging if the membership is voluntary and the rules of behavior were clear before the person joined. However, if the rules are arbitrary, if the group membership is seen as essential for personal security, safety, or health, or if the application of the rules is inconsistent, such shame can be highly destructive. This can be especially damaging if perceptions are attacked or controlled, or various tools of psychological pressure applied. Extremes of this cross over the line into psychological torture and can be permanently scarring. A key detrimental effect of some of the practices associated with shunning relate to their effect on relationships, especially family relationships. At its extremes, the practices may destroy marriages, break up families, and separate children and their parents. The effect of shunning can be very dramatic or even devastating on the shunned, as it can damage or destroy the shunned member’s closest familial, spousal, social, emotional, and economic bonds. What she is feeling is validated by studies of this type of group behaviors. She has become the product of their shunning. She has indeed, suffered a trauma. In fact, she is being subjected to one of the worst sorts of mental torture a human being can endure. Many people that are put under this kind of stress have taken their own lives. I wonder if the townspeople ever gave that notion any consideration. What did she do to cause such a large grouping in a very small town to shun her with such vehemence? She fell in love with a man, 20 years her junior. I am going to do more research on this subject and will be continuing to write about her saga here on Spread Information, with her express permission. Both she and I are interested in any feedback, support groups and assistance any of you reading this can offer. While theology attempts to understand the nature of transcendent or supernatural forces (such as deities), religious studies tries to study religious behavior and belief from outside any particu lar religious viewpoint. Religious studies draws upon multiple disciplines and their methodologies including anthropology, sociology, psychology, philosophy, and history of religion. Religious studies originated in the nineteenth century, when scholarly and historical analysis of the Bible had flourished, and Hindu and Buddhist texts were first being translated into European languages. Early influential scholars included Friedrich Max Müller, in England, and Cornelius P. Tiele, in the Netherlands. Today religious studies is practiced by scholars worldwide. In its early years, it was known as Comparative Religion or the Science of Religion and, in the USA, there are those who today also know the field as the History of religion (associated with methodological traditions traced to the University of Chicago in general, and in particular Mircea Eliade, from the late 1950s through to the late 1980s). The field is known as Religionswissenschaft in Germany and Sciences des religions in the French-speaking world. The term “religion” originated from the Latin noun “religio”, that was nominalized from one of three verbs: “relegere” (to turn to constantly/observe conscientiously); “religare” (to bind oneself [back]); and “reeligere” (to choose again). Because of these three different meanings, an etymological analysis alone does not resolve the ambiguity of defining religion, since each verb points to a different understanding of what religion is. During the Medieval Period, the term “religious” was used as a noun to describe someone who had joined a monastic order (a “religious”). Despite this change in meaning, it is important to note the term “religion” is primarily a Christian term. Judaism and Hinduism, for example, do not include this term in their vocabulary. Western philosophy of religion, as the basic ancestor of modern religious studies, is differentiated from theology and the many Eastern philosophical traditions by generally being written from a third party perspective. The scholar need not be a believer. Theology stands in contrast to the philosophy of religion and religious studies in that, generally, the scholar is first and foremost a believer employing both logic and scripture as evidence. Theology according to this understanding fits with the definition which Anselm of Canterbury gave to it in the 11th century, credo ut intelligam, or faith seeking understanding (literally, “I believe so that I may understand”). The theologian then has the task of making intelligible, or clarifying, the religious commitments to which he or she ascribes. The scholar of religious studies has no such allegiances. Related Information On Theology ? The first explicit use of the phrase “phenomenology of religion” occurs in the Lehrbuch der Religionsgeschichte (Handbook of the History of Religions), written by Pierre Daniël Chantepie de la Saussaye in 1887, wherein he articulates the task of the science of religion and gives an “Outline of the phenomenology of religion”. Employing the terminology of Hegel, Chantepie divides his science of religion into two areas of investigation, essence and manifestations, which are approached through investigations in philosophy and history, respectively. However, Chantepie’s phenomenology “belongs neither to the history nor the philosophy of religion as Hegel envisioned them”. For Chantepie, it is the task of phenomenology to prepare historical data for philosophical analysis through “a collection, a grouping, an arrangement, and a classifying of the principal groups of religious conceptions”. This sense of phenomenology as a grouping of manifestations is similar to the conception of phenomenology articulated by Robison and the British; however, insofar as Chantepie conceives of phenomenology as a preparation for the philosophical elucidation of essences, his phenomenology is not completely opposed to that of Hegel. Max Weber studied religion from an economic perspective in The Protestant Ethic and the Spirit of Capitalism (1904-5), his most famous work. As a major figure in sociology, he has no doubt influenced later sociologists of religion. Émile Durkheim also holds continuing influence as one of the fathers of sociology. He explored Protestant and Catholic attitudes and doctrines regarding suicide in his work Suicide. In 1912 he published his most memorable work on religion, Elementary Forms of the Religious Life. Interest in the general study of religion dates back to at least Hecataeus of Miletus (ca. 550 BCE – ca. 476 BCE) and Herodotus (ca. 484 BCE – 425 BCE). Later, during the Middle Ages, Islamic scholars studied Persian, Jewish, Christian, and Indian religions. The first history of religion was the Treatise on the Religious and Philosophical Sects (1127 CE), written by the Muslim scholar Muhammad al-Shahrastani. Peter the Venerable, also working in the twelfth century, studied Islam and made possible a Latin translation of the Qur’an. Partridge writes that “by the second half of the twentieth century the study of religion had emerged as a prominent and important field of academic enquiry.” He cites the growing distrust of the empiricism of the nineteenth century and the growing interest in non-Christian religions and spirituality coupled with convergence of the work of social scientists and that of scholars of religion as factors involved in the rise of Religious Studies. In the 1980s, in both Britain and America, “the decrease in student applications and diminishing resources in the 1980s led to cut backs affecting religious studies departments.” (Partridge) Later in the decade, religious studies began to pick up as a result of integrating religious studies with other disciplines and forming programs of study that mixed the discipline with more utilitarian study. Although philosophy has long been used in evaluation of religious claims (e.g. Augustine and Pelagius‘s debate concerning original sin), the rise of scholasticism in the 11th century, which represented “the search for order in intellectual life” (Russell, 170), more fully integrated the Western philosophical tradition (with the introduction of translations of Aristotle) in religious study. The anthropology of religion is principally concerned with the common basic needs of man that religion fulfills. Gallup surveys have found that the world’s poorest countries may be the most religious. Of those countries with average per-capita incomes under $2000, 95% reported that religion played an important role in their daily lives. This is contrasted by the average of 47% from the richest countries, with incomes over $25000 (with the United States breaking the trend by reporting at 65%). Social scientists have suggested that religion plays a functional role (helping people cope) in poorer nations. The New York Times offers a graphic illustrating the correlation (not necessarily causation) between religion and poverty. The geography of religion is principally concerned with the spatial elements of religious practice and embodiment. In the 1960s and 1970s, geographers of religion such as Wilbur Zelinsky and David Sopher were mostly associated with the “Berkeley school” of cultural geography and focused mostly on the cultural imprints of religion on the landscape. Since the turn in the new cultural geography of religion through the work of James Duncan on the City as Text, geographers of religion have focused on what Lily Kong has called the “politics and poetics” of religion, especially in relation to the political geographies of secular nation-states. Recent interest in the geography of religion has focused on how religious practitioners enact sacred space through their embodied sacred practices as well as the relationship between religion and geopolitics. The temporal lobe has been of interest which has been termed the “God center” of the brain. (Ramachandran, ch. 9) Neurological findings in regard to religious experience is not a widely accepted discipline within religious studies. Scientific investigators have used a SPECTscanner to analyze the brain activity of both Christian contemplatives and Buddhist meditators, finding them to be quite similar. The “origin of religion” refers to the emergence of religious behavior in prehistory, before written records. The psychology of religion is concerned with what psychological principles are operative in religious communities and practitioners. William James was one of the first academics to bridge the gap between the emerging science of psychology and the study of religion. A few issues of concern to the psychologist of religions are the psychological nature of religious conversion, the making of religious decisions, religion and happiness, and the psychological factors in evaluating religious claims. Sigmund Freud was another influential figure in the field of psychology and religion. He used his psychoanalytic theory to explain religious beliefs, practices, and rituals in order to justify the role of religion in the development of human culture. The sociology of religion concerns the dialectical relationship between religion and society; the practices, historical backgrounds, developments, universal themes and roles of religion in society. There is particular emphasis on the recurring role of religion in all societies and throughout recorded history. The sociology of religion is distinguished from the philosophy of religion in that it does not set out to assess the validity of religious beliefs, though the process of comparing multiple conflicting dogmas may require what Peter L. Berger has described as inherent “methodological atheism”. Whereas the sociology of religion broadly differs from theology in assuming the invalidity of the supernatural, theorists tend to acknowledge socio-cultural reification of religious practise. It may be said that the modern formal discipline of sociology began with the analysis of religion in Durkheim’s 1897 study of suicide rates amongst Catholic and Protestant populations. The works of Max Weber emphasised the relationship between religious belief and the economic foundations of society. Contemporary debates have centred on issues such as secularization, civil religion, and the cohesiveness of religion in the context of globalization and multiculturalism. Medical Definition of PHENOMENOLOGY : the way in which one perceives and interprets events and one’s relationship to them in contrast both to one’s objective responses to stimuli and to any inferred unconscious motivation for one’s behavior; also : a psychology based on the theory that phenomenology determines behavior —phe·nom·e·no·log·i·cal Philosophical discipline originated by Edmund Husserl. Husserl developed the phenomenological method to make possible “a descriptive account of the essential structures of the directly given.” Phenomenology emphasizes the immediacy of experience, the attempt to isolate it and set it off from all assumptions of existence or causal influence and lay bare its essential structure. Phenomenology restricts the philosopher’s attention to the pure data of consciousness, uncontaminated by metaphysical theories or scientific assumptions. Husserl’s concept of the life-world—as the individual’s personal world as directly experienced—expressed this same idea of immediacy. With the appearance of the Annual for Philosophical and Phenomenological Research (1913–30), under Husserl’s editorship, his personal philosophizing flowered into an international movement. Its most notable adherents were Max Scheler and Martin Heidegger. Phenomenology of Religion Phenomenology of Religion From Wikipedia, the free encyclopedia The phenomenology of religion concerns the experiential aspect of religion, describing religious phenomena in terms consistent with the orientation of the worshippers. It views religion as being made up of different components, and studies these components across religious traditions so that an understanding of them can be gained. The phenomenological approach to the study of religion owes its conceptualization and development to Pierre Daniël Chantepie de la Saussaye, William Brede Kristensen and Gerardus van der Leeuw. Chantepie de la Saussaye The first explicit use of the phrase “phenomenology of religion” occurs in the Lehrbuch der Religionsgeschichte (Handbook of the History of Religions), written by Pierre Daniël Chantepie de la Saussaye in 1887, wherein he articulates the task of the science of religion and gives an “Outline of the phenomenology of religion”. Employing the terminology of Hegel, Chantepie divides his science of religion into two areas of investigation, essence and manifestations, which are approached through investigations in philosophy and history, respectively. However, Chantepie’s phenomenology “belongs neither to the history nor the philosophy of religion as Hegel envisioned them”. For Chantepie, it is the task of phenomenology to prepare historical data for philosophical analysis through “a collection, a grouping, an arrangement, and a classifying of the principal groups of religious conceptions”. This sense of phenomenology as a grouping of manifestations is similar to the conception of phenomenology articulated by Robison and the British; however, insofar as Chantepie conceives of phenomenology as a preparation for the philosophical elucidation of essences, his phenomenology is not completely opposed to that of Hegel. Kristensen Chantepie’s Lehrbuch was highly influential, and many researchers began similar efforts after its publication and its subsequent translation into English and French. One such researcher was William Brede Kristensen. In 1901, Kristensen was appointed the first professorship relating to the phenomenology of religion at the University of Leiden. Some of the material from Kristensen’s lectures on the phenomenology of religion was edited posthumously, and the English translation was published in 1960 as The Meaning of Religion. James notes that Kristensen’s phenomenology “adopts many of the features of Chantepie’s grouping of religious phenomena,” and penetrates further into the intricacies of Chantepie’s phenomenological approach. For Chantepie, phenomenology is affected by the philosophy and history of religion, but for Kristensen, it is also the medium whereby the philosophy and history of religion interact with and affect one another. In this sense, Kristensen’s account of the relationship between historical manifestations and philosophy is more similar to that of Hegel than it is to Chantepie. In defining the religious essence of which he explores historical manifestations, Kristensen appropriates Rudolf Otto’s conception of das Heilige (“the holy” or “the sacred”). Otto describes das Heilige with the expression “mysterium tremendum”—a numinous power revealed in a moment of “awe” that admits of both the horrible shuddering of “religious dread” (tremendum) and fascinating wonder (fascinans) with the overpowering majesty (majestas) of the ineffable, “wholly other” mystery (mysterium). Like Chantepie, Kristensen argues that phenomenology seeks the “meaning” of religious phenomena. Kristensen clarifies this supposition by defining the meaning that his phenomenology is seeking as “the meaning that the religious phenomena have for the believers themselves”. Furthermore, Kristensen argues that phenomenology is not complete in grouping or classifying the phenomena according to their meaning, but in the act of understanding. “Phenomenology has as its objects to come as far as possible into contact with and to understand the extremely varied and divergent religious data”. Being a phenomenologist, Kristensen was less interested in philosophical presuppositions than in his concrete depth-research in the incidental religious phenomena. These subjects concerned mythological material (such as Creation, the Flood etc.) as well as human action (such as baptism, Olympic Games etc. ), and objects of nature and handicrafts. In all of this he only made use of the authentic sources: writings and images by the believers themselves. This procedure compelled him to reduce the field of his research – he had to profoundly master all relating languages and writings in order to be able to understand his sources in a way as they would have wanted to be understood themselves. Consequently he reduced his field of research to the phenomena in religions living around the origin of Christianity: during the millennia before and the centuries after Christ, in Iran (Avesta), Babylonia and Assyria, Israel, Egypt, Greece and Rome. The required knowledge of speeches, also, is one of the causes that only few (Van der Leeuw, Bleeker) of his pupils did carry on in his line, although many scholars showed interests in the results of his research. Apart from his synopsis The Meaning of Religion, and a just simple Introduction in History of Religion, his publications are mostly restricted to the results of his incidental partial researches, published in the shape of a Communication of the Royal Academy of the Netherlands. van der Leeuw The phenomenological approach to religion developed in Gerardus van der Leeuw’s Phänomenologie der Religion (1933) follows Kristensen in many respects, while also appropriating the phenomenology of Martin Heidegger and the hermeneutics of Wilhelm Dilthey. For van der Leeuw, understanding is the subjective aspect of phenomena, which is inherently intertwined with the objectivity of that which is manifest. Van der Leeuw articulates the relation of understanding to understood phenomena according to the schema outlined in Dilthey’s definition of the human sciences (Geisteswissenschaften) as sciences that are “based on the relations between experience, expression and understanding” (“Verhältnis von Erlebnis, Ausdruck, und Verstehen”). Van der Leeuw correlates subjective experience, expression, and understanding with three objective levels of appearing—relative concealment (Verborgenheit), relative transparency (Durchsichtigkeit), and gradually becoming manifest or revealed (Offenbarwerden), wherein the understanding of what is becoming revealed is the primordial level of appearing from which the experienced concealment and expressed transparency of appearing are derived. Because van der Leeuw, like Kristensen, appropriates Otto’s concept of das Heilige in defining the essential category of religion, the transcendence becoming revealed in all human understanding can be further described as sacred — an overpowering “wholly other,” which becomes revealed in astonishing moments of dreadful awe (Scheu) and wonderful fascination. Van der Leeuw argues that this concept of religious dread is also present in Kierkegaard’s work on Angst and in Heidegger’s statement that “what arouses dread is ‘being in the world’ itself”. Moreover, van der Leeuw recognizes that, although dreadful, Being-in-the-world is fundamentally characterized as care (Sorge), the existential structure whereby Dasein is concerned with meaningful relationships in the world alongside other beings. Because all experiences disclose concealed (wholly other) transcendence to the understanding, all experiences of Being-in-the-world are ultimately religious experiences of the sacred, whether explicitly recognized as such or not. Human being as such is homo religiosus, the opposite of homo negligens. It is the task of the phenomenology of religion to interpret the various ways in which the sacred appears to human beings in the world, the ways in which humans understand and care for that which is revealed to them, for that which is ultimately wholly other mystery. Among other great phenomenologists who worked and influenced phenomenology of religion are Kristensen, Henry Corbin, Mahmoud Khatami, Ninian Smart, de la saussaye, Mircea Eliade. Phenomenology is “arguably the most influential approach to the study of religion in the twentieth century.” (Partridge) The term is first found in the title of the work of the influential philosopher of German Idealism, Georg Wilhelm Friedrich Hegel, entitled The Phenomenology of Spirit. Phenomenology had been practiced long before its being made explicit as a philosophical method by Edmund Husserl, who is considered to be its founder. In the context of Phenomenology of religion however, the term was first used by Pierre Daniel Chantepie de la Saussaye in his work “Lehrbuch der Religiongeschichte” (1887). Chantepie’s phenomenology catalogued observable characteristics of religion much like a zoologist would categorize animals or an entomologist would categorize insects. In part due to Husserl’s influence, “phenomenology” came to “refer to a method which is more complex and claims rather more for itself than did Chantepie’s mere cataloguing of facts.” (Partridge) Husserl argued that the foundation of knowledge is consciousness. He recognized “how easy it is for prior beliefs and interpretations to unconsciously influence one’s thinking, Husserl’s phenomenological method sought to shelve all these presuppositions and interpretations.” (Partridge) Husserl introduced the term “eidetic vision” to describe the ability to observe without “prior beliefs and interpretations” influencing understanding and perception. Fifthly, this leads naturally to a stage at which “all these activities, undertaken together and simultaneously, constitute genuine understanding [Verstehen]: the chaotic and obstinate ‘reality’ thus becomes a manifestation, a revelation” (eidetic vision). Finally, having gone through the above six stages, the phenomenologist should be as close as anyone can be to an understanding of the ‘meaning’ of the religious phenomena studied and be in a position to relate his understanding to others. Functionalism, in regard to religious studies, is the analysis of religions and their various communities of adherents using the functions of particular religious phenomena to interpret the structure of religious communities and their beliefs. A major criticism of functionalism is that it lends itself to teleological explanations. An example of a functionalist approach is understanding the dietary restrictions contained in the Pentateuch as having the function of promoting health or providing social identity (i.e. a sense of belonging though common practice). A group of scholars have criticized religious studies beginning in the 1990s as a theological project which actually imposes views onto the people it aims to survey. Prominent voices in this critical view include Robert A. Orsi, Timothy Fitzgerald, Talal Asad, Tomoko Masuzawa, G.A. Oddie, Richard King, Russell T. McCutcheon, and Daniel Dubuisson. Their areas of research overlap heavily with postcolonial studies. The tree of life (Heb. עץ החיים Etz haChayim) in the Book of Genesis is a tree planted by the Abrahamic God in midst of the Garden of Eden (Paradise), whose fruit gives everlasting life, i.e. immortality. Together with the tree of life, God planted the tree of the knowledge of good and evil (Genesis 2:9). According to some scholars, however, these are in fact two names for the same tree. In the Book of Revelation, a Koine Greek phrase xylon (tēs) zōës, ξύλον (τῆς) ζωής, is mentioned three times. This phrase, which is also used for the Genesis tree of life in the Ancient Greek translation of the Old Testament, literally means “wood of (the) life”. It is translated in nearly every English Bible version as “tree of life”, see Revelation 2:7, 22:2, and 22:19. The tree of life is represented in several examples of sacred geometry and is central in particular to the Kabbalah (the mystic study of the Torah), where it is represented as a diagram of ten points.